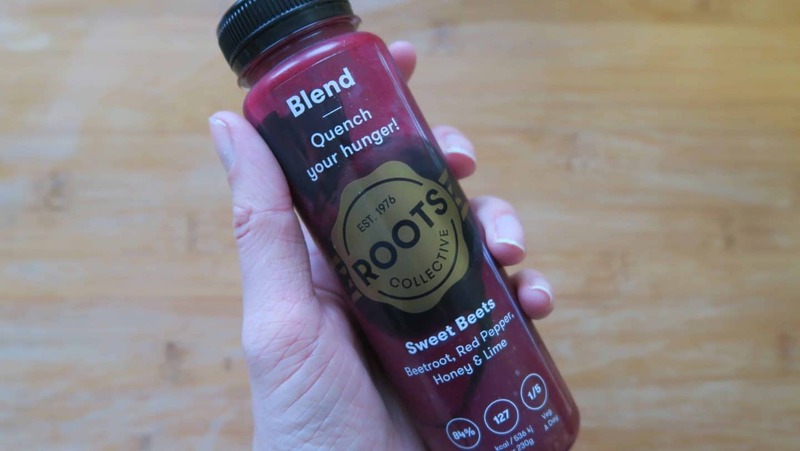 I’ve never really been much of a ‘juice person’, but when Roots Collective contacted me about their new blends, it peaked my interest. Because the new collection is blended and not juiced, it is lower sugar and contains more fibre. And, unlike a lot of juices I have come across, these vegetable blends are not cut with other fruit juices, which helps to keep the sugar content down. They are also all gluten and dairy free, so they’re pretty accessible to everyone. Vegetables are certainly having their day in 2017. Apparently vegetable yoghurts are a ‘thing’ so I thought I would be able to get my head around drinking a savoury blend. Sure, it looks like it should be a sweet, fruity smoothie – but how would they taste? I have to be honest, drinking these was interesting – they weren’t unpleasant at all and I enjoyed the carrot and beetroot ones. But I much preferred using them to add some veggie goodness to some recipes! The first thing I tried was the Beetroot Hummus recipe on the Roots Collective website. 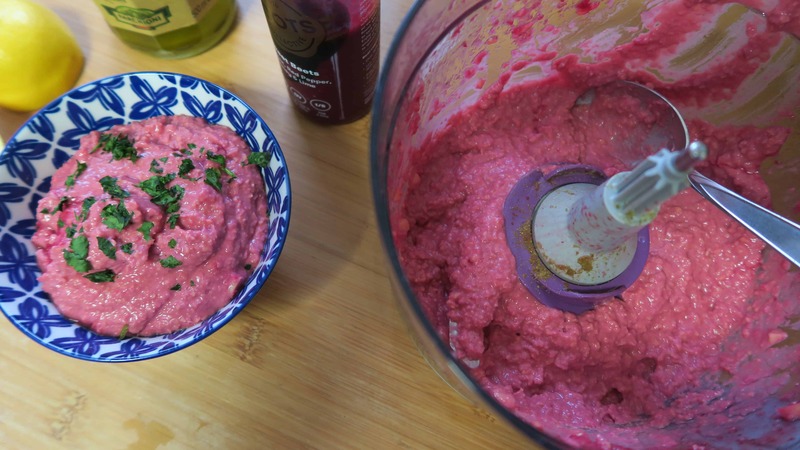 This was so simple and was a basic hummus recipe, adding in some of the Sweet Beets blend, which contains beetroot, red pepper, honey and lime. This was really yummy and I loved the vibrant pink colour the blends added, not to mention the sweet, beetroot tang. I simply blended all the ingredients together and then enjoyed this beautiful pink dip with some carrot sticks for an extra veggie hit. 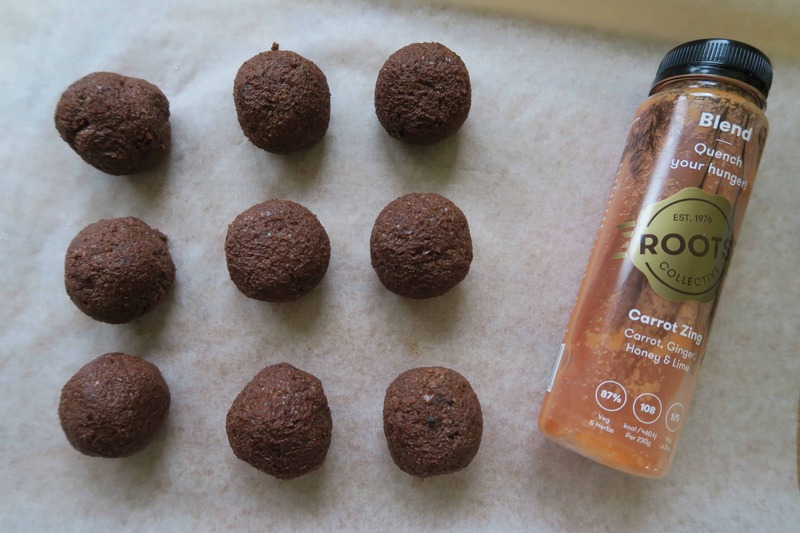 For my second cooking experimentation, I used the Carrot Zing blend to create some tasty energy balls (recipe below). These were sweet and delicious and something I could keep in the fridge for a quick energy top-up when I had to rush to the gym after work. The rest of the blends, I had as a drink. I found it a little strange to be drinking blended vegetables, but I think once I got over the social conformity that drinks should be sweet, I started to enjoy them. The green warrior was my favourite – with parsley and chives it was full of flavour and I also thought it would have been nice warmed up as a soup. 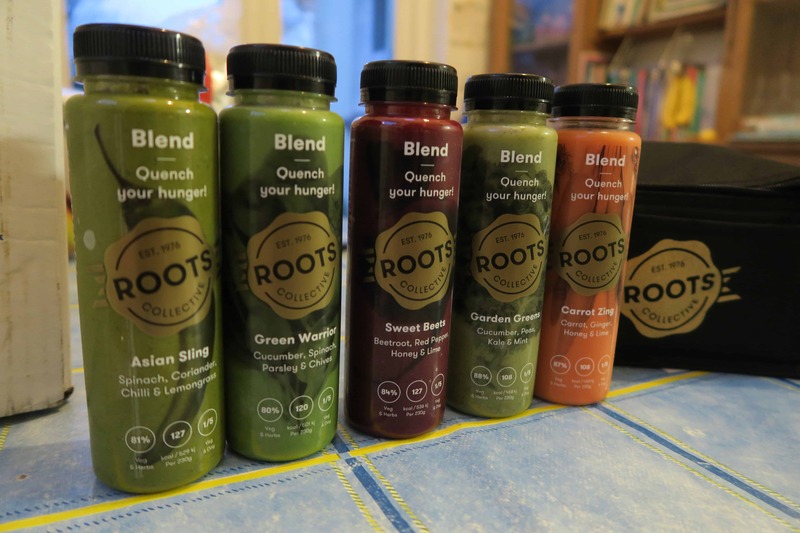 If you’re interested in trying these vegetable blends, you can check out the full Roots Collective range here. Deliciously zingy carrot energy balls - gluten free, dairy free and vegan. Macros per ball: 112 calories; 5g fat; 14.5g carbs (11.1g sugar); 3g protein. Add all of the ingredients to a blender and blitz until combined into a thick paste. Shape into 10 balls, place on a tray and chill in the fridge – and that’s it! These will keep for a couple of days in the fridge. These blends were sent to me by Roots Collective to try for free, but this has in no way influenced by opinion – I am always honest with you guys! Find out more about Roots Collective and their blends here. 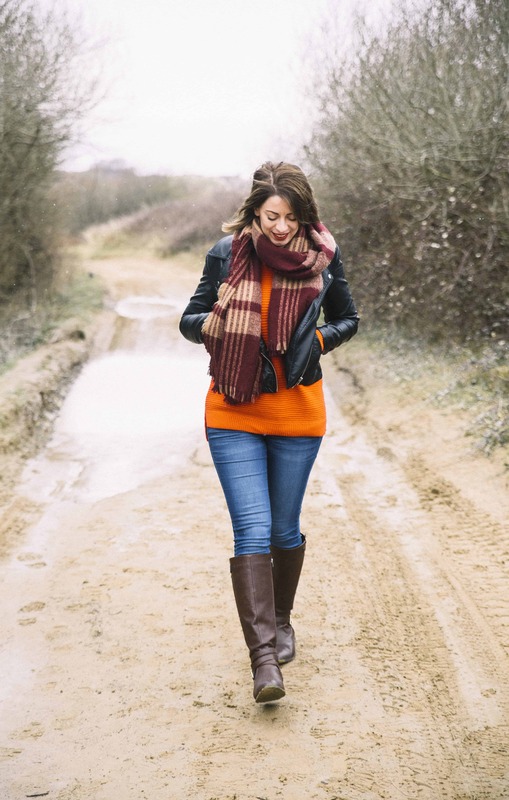 Don’t forget to pop over to my Facebook, Twitter or Instagram pages and say hello too!